Faster with less power, “free” speed, unlocking aerodynamic secrets, we all want these things, and now with AeroCamp you can realize them. Carrying forward the tremendous success of the first AeroCamp, Accelerate 3 Coaching and HD Coaching are excited to bring you AeroCamp 2.0. 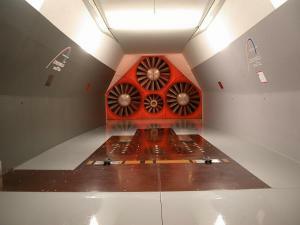 This AeroCamp will be held at the A2 Wind Tunnel in Morresville NC June 12-14, 2014. Space is extremely limited. Our goal is to help you get faster. Athletes in our first AeroCamp unlocked the secrets to speed and some saved up to 20+ watts of drag. It has become increasingly clear that aerodynamics are an incredibly individual thing. What helmet or position that may be fantastic for one person is a disaster or at least less than optimal for another. As part of the first ever AeroCamp at the A2 Wind tunnel you can fine tune your position, find the optimal helmet, storage solutions and clothing allowing you to carve minutes off your bike split. In addition to your own runs, you will be able to observe the testing of others. While making you faster is our ultimate goal, we are also wanting this to be a learning experience. Beyond the gains made in the first AeroCamp, participants ranked the learning process 2nd in value to them. 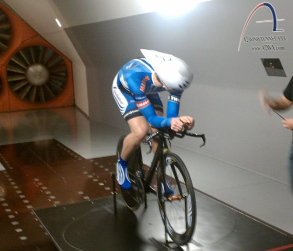 The A2 wind tunnel is used by cycling industry leaders to help fine tune the R&D process. Professional athletes from World Tour cyclists, olympians to world champion triathletes trust the information gathered at A2 to help give them that critical edge. You will now have access to the same expertise and the same testing procedures as some of the biggest companies and professional athletes in the world. Heath at heath@hdcoaching.net or Brian at accelerate3@gmail.com.